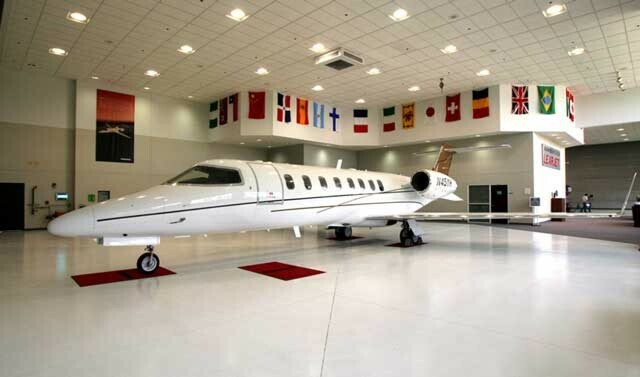 Hangar 45 has been created as an International Club for Learjet 45 simulator builders. Rather than focus on full-size flight sim building as a whole, our goal here is to provide a club-atmosphere for those that have decided to build and simulate one of the most famous aircraft ever built… A Learjet! As a club, we showcase our members and their projects and invite you to learn even more about their projects by visiting their dedicated websites at the links provided by them under the FEATURED PROJECTS page. Hangar 45 also serves as a virtual hangar for Lear-specific information for home flight deck builders. Here you will find information that will help you build 1:1 scale components for your project, get advise on Air File tweaking and have at your fingertips the information needed that will get your Lear project off the ground in good time. We also offer a Forum for our users to discuss Lear-specific issues and ideas that may otherwise get lost on other ‘general hobby’ forums. You can visit our Forums HERE. The Purpose of Hangar 45 is to provide a place where those who share the common interest of building a Learjet 45 home simulator can interact with each other in a central location. Information sharing is key to a project of this magnitude! Our goal is to make Hangar 45 the central hub for members and visitors to research their Lear building ideas, locate hard to find parts and to showcase their projects all in one place. We also openly encourage our members and visitors to seek out additional sources of helpful information and to participate in other forums as well as our own in an effort to always expand our cumulative knowledge base. The overall Mission of Hangar 45 is to help our members build the very best Lear45 home built simulators possible with common tools based on the knowledge and information found here without spending a Governmental fortune! 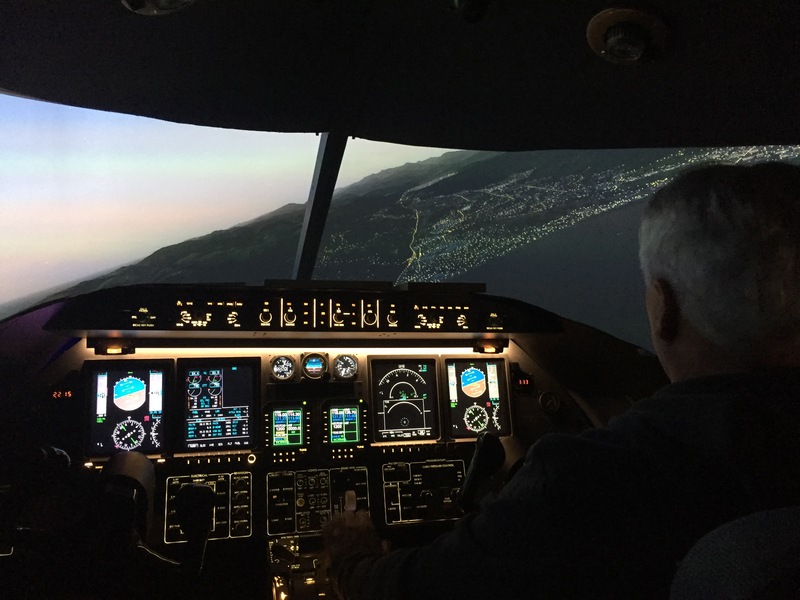 Anyone can have a flight simulator built with unlimited funds, however, several of our members here have been able to achieve their goals on a shoestring budget which is another reason why what we are able to accomplish is so impressive! As our simulators come on line around the world, we will see more “in person meetings” and comradery among our members while sharing Lear specific sim ideas! If you would like to register or re-register with Hangar 45, you can start by clicking the REGISTER NOW button below. In an effort to help control spam and malicious attacks on our website, we ask that when you register to please fill in the FIRST and LAST name blocks in your profile. Additionally, we ask that you create an avatar with a photo, preferably of yourself. You will have the option to create a “name” seen in the forums and comments by other visitors if you do not want to make your real name known. These steps along with Anti-Spam software will greatly reduce attacks on our website. It will also help build comradery among the members here in the Hangar being able to put a face to a name! Our forums is one of the greatest assets that Hangar45 has to offer and is considered a “one stop shop” no matter where you are in the research, planning, building or showcasing stage of your project. We take great pride in our members abilities to answer questions fast and effectively for our newer members just getting on board. The information that has been archived here over the past ten years is invaluable to all of our members! With that said, we have a few rules and tips to help you find the information you are looking for and to help us keep some sort of order within the many forums. 1. Please use something akin to your name or initials for your displayed user name to foster a club mentality here. 2. Please make an effort to locate the appropriate thread to discuss the topic that you have in mind. No Hijacking! 3. Feel free to start your own Project Build thread to show off your project or to share your build techniques in a tutorial! 4. Thinking of building a Lear45? This is a must read. “So your Gonna Build a Learjet” by DonnyRay Jones. Find it HERE. 5. Last but not least, watch profanity! It’s never been an issue in the hangar but it has to be said otherwise it might get said! NOTE: Any user that doesn’t have a real name as their user name is subject to deletion. If you are a well established and frequent user in the Hangar, you are not affected by this policy, however, we do ask that you consider updating your displayed name as something akin to your real name. 1. Use key words in our website search function. This new search function is much improved over our previous version. 2. Posting photos are as easy as copying a photo link and pasting. Just make sure your photo sizes are not overly excessive. 3. If you experience issues with adding photos, try another browser. Firefox seems to work best. For more information on rules and tips click HERE. This site is in no way affiliated with Bombardier, Learjet, or any other real-world aviation/aerospace business. All of the information contained on this site is offered free of charge and free of responsibilities in every way, shape, and form. This information is provided as a source of entertainment and for the construction of non-certified home flight simulators for hobby use only. The creators and contributors of this site shall not be held liable under any circumstances. If this site contains any objectionable material, the web authors kindly ask that those offended contact the administrator(s) and the issue will be resolved immediately.